ECKANKAR respects all faiths and values spiritual freedom. We invite you to come along to one of our events, to check these teachings out for yourself. Eckankar: HU #1 - What Is HU? Are you looking to experience more divine love in your life? Do you have spiritual questions you would like answered? 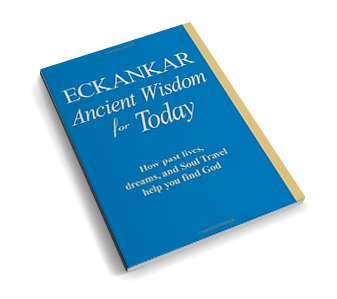 ECKANKAR is a path that offers powerful resources for people with a wide array of spiritual interests—from the spiritually curious to those with an earnest desire to take their next spiritual step. ECKANKAR offers events and classes here in Western Australia, where you can learn more about the divine part of yourself. You are welcome to explore this site and what the teachings of ECK can offer you. “With spiritual liberation comes total freedom and total responsibility. Eckankar means "Co-worker with God." It offers ways to explore your own unique and natural relationship with the Divine. The full experience of God is possible in this lifetime! Have you ever wondered what your spiritual purpose might be? This is a question many people ask and spend their life searching for the answer to. Sri Harold Klemp says, "Outwardly, all you know is this gnawing feeling that there is more to life than you have yet discovered. So you begin your search through different philosophies, looking for the missing link." Presented by the ECKANKAR Society of Western Australia, a chartered affiliate of ECKANKAR Australia. Copyright © 2018 ECKANKAR. All rights reserved. The terms ECKANKAR, ECK, EK, MAHANTA, SOUL TRAVEL, and VAIRAGI, among others, are trademarks of ECKANKAR, PO Box 2000, Chanhassen, MN 55317-2000 USA.